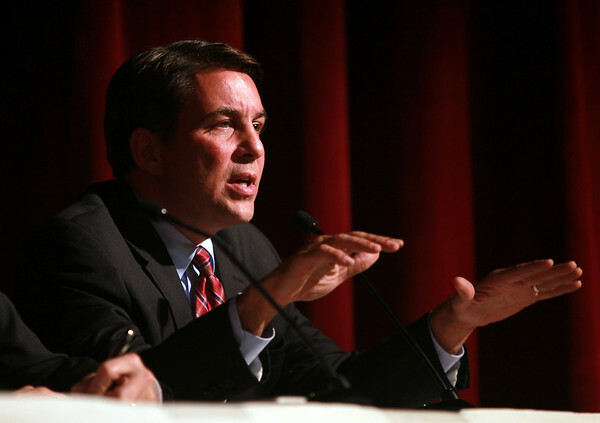 Republican congressional candidate Richard Tisei speaks during a Congressional Debate held by The Salem News and Lowell Sun at Danvers High School on Thursday evening. DAVID LE/Staff photo. 10/23/14.